The lawsuit alleges that for the last decade opioid companies misled doctors with ill advice and false marketing, telling them the painkillers weren't addictive. The city of San Diego is suing companies that manufacture or distribute prescription opioids. The lawsuit announced Thursday by City Attorney Mara W. Elliott is expected to involve hundreds of other cities, counties and states in an effort to recover costs spent on emergency services and police calls. “Opioid manufacturers have profited handsomely from the human suffering they intentionally inflicted through manipulation and deceit,” Elliott said in a written release. The 210-page complaint alleges that for the last decade opioid companies misled doctors with ill advice and false marketing, telling them the painkillers weren't addictive. 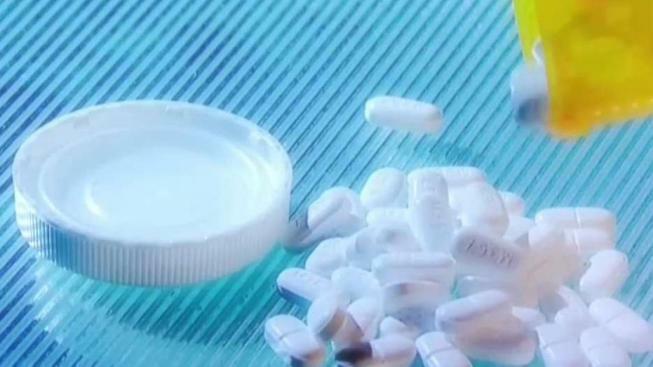 Former President of the California Medical Association, Ted Mazer, M.D., claims misinformation from opioid companies led to doctors overprescribing the medicine to patients. He used Oxycontin, the most abused drug of its kind and the pain killer at the center of the growing legal battle, as an example. “Doctors were told it’s a 12-hour drug and it was promoted as a 12-hour drug, then when it wasn’t giving the relief over 12 hours, one of the allegations, anyway, is that doctors were then told to just increase the dose, not the interval," Dr. Mazer said. Mazer says increasing doses only fueled addiction. As doctors continue to move away from opioid prescriptions, studies show a flattening in the overdose death rate but opioid overdoses overall are rising due in part to a growing underground market. Some who used to get the highly-addictive pain killers legally as patients have been forced to turn to the black market to get the same drugs. Chief Deputy City Attorney Mark Ankcorn says that the manufacturers' initial deceptive marketing is what created today's black market demand. “In the search for profits, these manufacturers have created a market for opioids that didn’t exist before and have pushed it into uses where it doesn’t belong," Ankcorn said. "They knew that what they were saying was not grounded in good science," he added. "They knew that they were over reading some very small study results and blowing things out of proportion and misrepresenting to the doctors." The full list of defendants numbers almost 30 individuals and companies including Purdue Pharma L.P., the maker of Oxycontin, and members of the Sackler family. "They were the ones who profited over the years from seliing the drugs in a deceptive way and they’re the ones weho should have to pay to clean up the mess," Ankcorn said. The Centers for Disease Control and Prevention has stated that the rising rate of deaths and addiction due to opioids is a crisis for the nation. Purdue Pharma's defense team blames opioid addicts and overprescribing doctors for the crisis. Potential settlement money awarded to San Diego would go towards treatment facilities and rehab programs. The City Attorney's office said that even if San Diego never sees a dime, the lawsuit sends a strong message that battling opioid addiction is a top priority. Nearly eight out of every 100,000 people die from an opioid overdose in San Diego County, according to the State of California Department of Public Health. Data shows Native Americans are up to three times more likely to use the potentially deadly narcotics. The Pala Tribe of Mission Indians filed a similar lawsuit in November of 2018.